More than half of the surface of Holland is situated below the level of the North Sea and my family home is about two meters below sea level. If the pumping system failed we would soon drown with the rising water level. Therefore it seems as if us Dutch walk around like divers below sea level, but without the need for cumbersome breathing devices. Instead we are protected by an ingenious system of dykes, canals and pumps. This system was developed during the 16th and 17th centuries in an era of progress, trade and enterprising business. Impressive fleets of Dutch sailing ships carried goods throughout the world along the known trade routes. 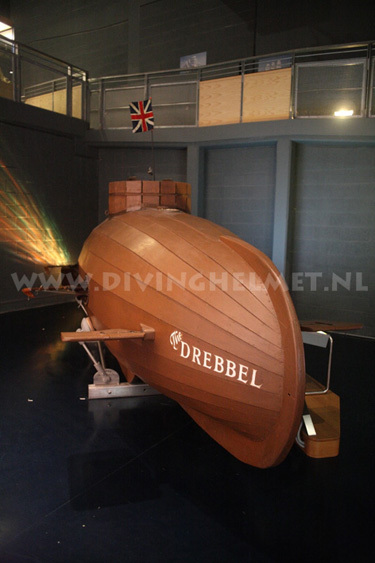 At this time an early, datable Dutch book first describes the exploits of underwater work and the use of diving bells. In 1590 ‘Cornelus Leeghwater’ (a man made famous for his achievements in pumping water out of polders and creating reclaimed land) wrote the first edition of ‘Het Haarlemmermeerboek’ and mentions ‘underwater work’ in the text. In 1671 N.Witsen of Amsterdam published ‘Aeloude en hedendaegse scheepsbouw en bestier’; a book on ship building that also contains descriptions and pictures of diving bells. 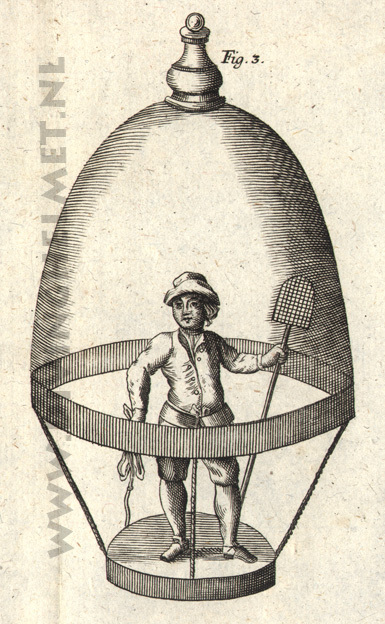 1605 Jan Adriaanszoon Leeghwater and the first Diving Bell in Holland. Jan Adriaanszoon Leeghwater was born in 1575 in De Rijp, a small town in the north west of Holland. The ‘eighty years’ war with Spain had just begun, but the war of keeping the sea out of the low lying areas of Holland was a continuous battle. 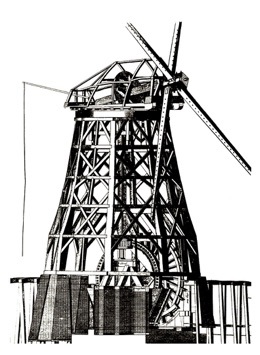 However, Dutch engineering was improving at this time through the construction of better dykes and windmill pumps. Leeghwater was one such person who was gaining an engineering reputation in drainage and flood defenses. Leeghwater took a great interest in the mechanism and workings of the first saw-mill which was built in the town of Uitgeest in 1594, as well as the development of other industrial windmills. His studies enabled him to invent the ‘rotating cap’ which enabled the sails of a windmill to face the direction of the wind. In 1605 Leeghwater built his own windmill with it’s newly designed ‘rotating cap’ at De Rijp. Leeghwater worked on various projects in Holland and in other European countries. In 1619 he worked in the marshes of Vlaanderen. 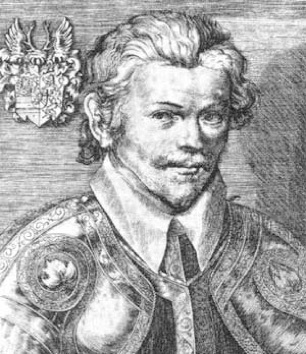 In 1629 he was employed to advise on marsh drainage near Bordeaux, France and two years later at Metz. In 1633 his engineering skills were once again needed at the Bottschlotter Tief Dam in Schleswig-Holstein, Germany. However, in Holland Leeghwater is most remembered for the invention of his improved windmills for drainage pumping which create new land. Between 1608 and 1643, 20.000 hectares of land were reclaimed from the sea in the north of Holland using Leeghwater’s improved windmill. ‘Leeghwater’ was born as Jan Adriaanszoon, but after Prince Mauritius of The Hague awarded him with a Patent for a ‘diving bell’, he added 'Leeghwater' to his name. 'Leeghwater' meant 'Low (level) water' in the Dutch language. In the year 1605, at the end of april there came a wine-buyer to Alkmaar, named Dirk Thomasz., who was quite familiar with Prince Mauritius and had several reasonings with the Prince, whom he told that in the north of Holland, in De Rijp were two or three youths, who could descend in the water, which made the Prince eager to see this himself; to which the wine-buyer replied: I will write the youths, that they come to his royal mercy in The Hague. 3.Then the Prince sent for a falconer, named Henderik Evertszn., who would go with us out of The Hague, to search for water where it would be convenient to perform the art, as which we did, and which water is a little out of the Hague at the left side, in the canal leading to Delft. 5. As we knew the time we went to the place, and prepared; then came to us Prince Mauritius, with his brother Prince Hendrik, with Count Willem van Vrieslant, with Count Ernst, and more great Lords and noblemen, in carriages, and standing there with us Prince Mauritius said: 'Men, I am ready to see'; where after I, Jan Adriaansz. Leeghwater with a good courage jumped into the water, and said 'Adieu, my pious Lords'; and I was there such a long time under water, that the Prince Mauritius with the other Lords would be pleased, and then came up again, then asked me the Prince Mauritius: 'What was that noise, which I heard?' where after I answered: 'I shouted loud; did my Lord hear that'? Where after the Prince said: 'I thought it was the lowing of a cow'. 6. 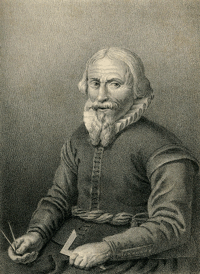 Then Pieter Pietersz. one of our friends, jumped in the water a bit further away, and stayed under water as long as I did, but played with his fingers a bit above the water; then said Count Willem van Vrieslant 'The man has almost drowned and cannot hold on'. 7. And when Pieter Pietersz. came on land as well, being us both fresh and well, so said to us Prince Mauritius: 'Men, I see that the art is a good one; do not leave The Hague before we spoke again, go to a good tavern and show off well', which we did, and after that we went again to the Prince on his court, where he honored us, and awarded us a patent for our art, which I kept to this day'.